Parker manually, pneumatically, and electrically actuated two-way B Series Ball Valves provide quick 1/4 turn on-off control of fluids utilized in process and instrumentation applications. A broad selection of valve body, seat and seal materials provide a wide range of pressures and temperatures at which the valve may be used. 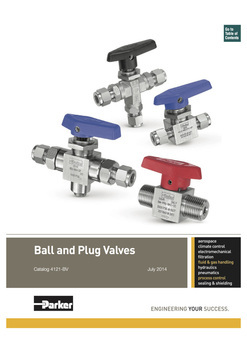 Parker’s three-piece SWB Series Ball Valves are durable valves that can handle the pressure and piping loads. The centre section can swing out to quickly and easily replace seats, seals and the ball without major disruption to the piping system. Parker MPB series manually, pneumatically and electrically actuated two-way and three-way ball valves are designed for 1/4 and 1/2 turn media shutoff or switching applications up to 20,000 psi. Our trunnion style ball design and spring loaded seats make the MPB series ideal for severe service applications. 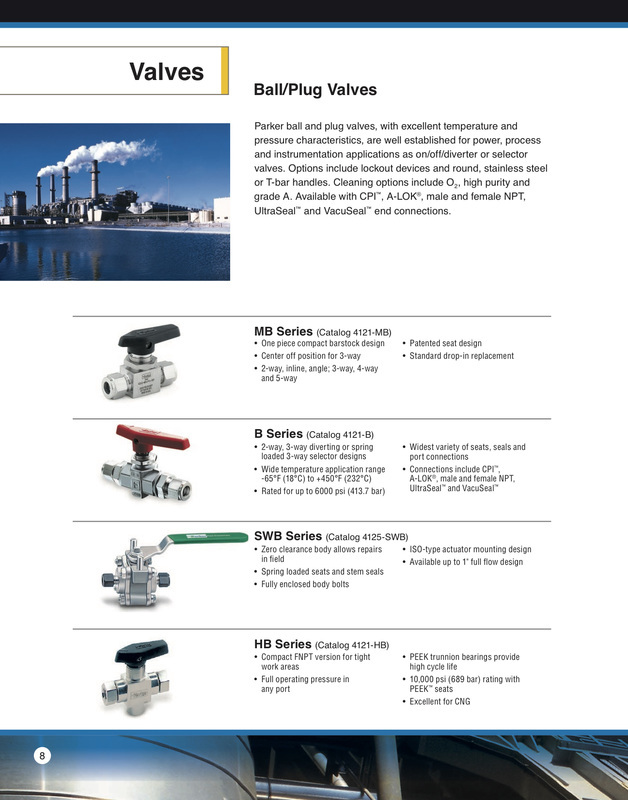 Parker PR Series Plug Valves provide positive leak tight shut-off, high flow capacity, and quick quarter-turn operation in a compact attractive package. The patented blow-out resistant seat design offers reliable sealing technology at all operating pressures. In addition to on-off actuation, the plug design allows forward flow throttling.